Having a steady income is invaluable to allow us to carry out our pioneering research projects – so no matter how big or small your gift, a regular donation will help transform the quality of life for patients. Fundraising is a fun and rewarding way to support RAFT. 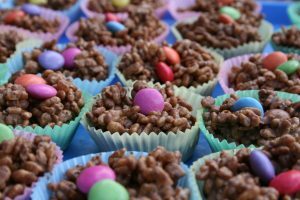 Whether you want to do a sponsored silence, a ‘bake-off’ style cake sale or get some friends together to put on an event, inject some fun into your charitable giving with our fundraising ideas! Many of RAFT’s research projects are reaching patients today thanks to the support of philanthropists who are passionate about our work and give large donations to ensure we are able to take our programmes to conclusion. Leaving a gift to RAFT in your will is one of the most valuable and lasting ways you can support us, helping us to fund research that will give others back their quality of life. Simply speak to your lawyer or will-writer who will be able to set up your legacy and explain any taxable benefits you and your loved ones may be entitled to. Losing a loved one is hard, but many people find that setting up a memory fund is a perfect way to remember and celebrate their life. You and your loved one’s friends and family can donate to the tribute fund or raise money for it, creating a positive and lasting tribute while also providing vital financial support for our work. Are you up for the challenge? Why not take part in a sporting challenge event and raise funds for RAFT at the same time. Each year, we secure places in premium challenge events such as the Virgin London Marathon and Tough Mudder for our supporters. So, whether you want to run, swim or cycle, or prefer an overseas adventure, we’re eager to support you. You could get a group of friends together or if you prefer, join our team. Either way, you’re in good company as you train for the challenge of your life – all while raising vital funds for our ground breaking medical research. 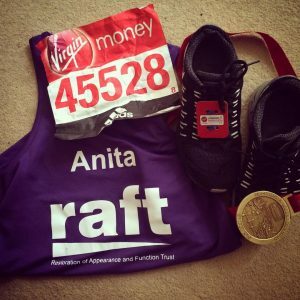 For more information about how you can fundraise for RAFT, call our Fundraising Team 020 8433 6671.